The City of Clearwater is located in Pinellas County, Florida. With a population of roughly 111,000, Clearwater is the smallest of three principal cities in the Tampa Bay Area. 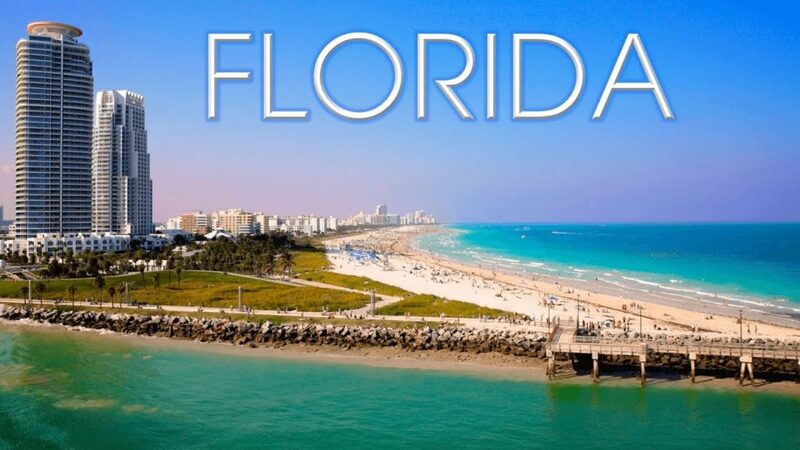 This city is famous for being the worldwide headquarters of the Church of Scientology, and is also home to the much loved Clearwater Marine Aquarium. Like many cities across Florida, Clearwater has endured its fair share of drug and alcohol problems over recent years, with the Tampa Bay Area mostly known for its opioid and cocaine problems. From prescription painkillers through to illegal pill mills and crack cocaine, Clearwater and the entire Pinellas County area continue to experience a killer drug crisis. Detox and rehab treatment centers can be found in and around the City of Clearwater, with many facilities specializing in opioid problems. If you know anyone who is living with opioid addiction or any other kind of substance use disorder, it’s important to find professional help as soon as you can. English as their first language and 11 percent speaking Spanish. Overall, the ethnic diversity of Clearwater is 69.7 percent White, 10.4 percent Black or African American, 2.5 percent Asian, and 14.7 percent Latino or Hispanic. According to figures from Neighborhood Scout, per capita income in Clearwater is $29,232, which is slightly lower than the national average of $29,289. The median household income is significantly lower than the national average, however, at $44,569 and $55,322 respectively. Healthcare and retail are the major employment industries in the city, with scientific and technical services also contributing strongly to the local economy. Clearwater and the wider Tampa Bay Area continue to face numerous drug and alcohol problems, including overdose deaths and emergency department encounters. While cocaine abuse is still a significant problem in the Tampa Bay Area, heroin and prescription opioids are causing the most concern. Fatal drug overdoses in Pinellas County jumped at least 53 percent between 2015 and 2016, with 274 confirmed overdoses in the area. This opioid crisis is affecting the entire state of Florida, with the Florida Department of Law Enforcement recently reporting that heroin deaths in Florida were up about 75 percent between 2014 and 2015, with fentanyl deaths up 70 percent over the same time period. While eliminating pill mills and doctor shopping is an important part of the solution, local police have repeatedly said that the opioid crisis can not be solved using law enforcement alone. Government healthcare bodies and drug treatment centers are a huge part of the solution, with detox and rehab facilities located throughout Tampa Bay and across the United States. Drug addiction is a pattern of compulsive and uncontrolled drug use, with drug addicts continuing to use drugs even when they are known to cause problems. A range of issues can arise as the result of drug addiction, including physical health problems, mental health problems, social problems, financial problems, overdose, and dependence. Addiction is a brain disorder that involves rewarding and reinforcing stimuli, with drug addicts seeking repeated exposure to certain drugs in order to reward and reinforce neural pathways in the brain. While drug dependence is closely related to drug addiction, they are not the same thing. While addiction is recognized by compulsive behavior patterns that cause problems to the user and those around them, dependence is the experience of withdrawal symptoms when drug consumption is discontinued. Physical and psychological dependence are both possible, with physical symptoms normally associated with central nervous system (CNS) depressants such as alcohol, heroin, prescription sedatives, and prescription opioids. Physical dependence is associated with a number of physical-somatic symptoms, including nausea, vomiting, headache, excessive sweating, cramps, limb movements, seizures, and delirium tremens. Some of these symptoms can be dangerous and even life-threatening if patients do not receive medication therapy. A number of drugs can be used during detox to reduce the severity of these symptoms, including benzodiazepines such as Valium and Xanax and opioids such as buprenorphine and methadone. psychoactive substances, with the following drugs likely to cause psychological withdrawal without corresponding physical symptoms: marijuana, MDMA, amphetamine, methamphetamine, cocaine, and prescription ADHD drugs such as Adderall and Ritalin. While these substances do not cause life-threatening physical complications, they can cause significant psychological issues and need to be treated accordingly through a psychotherapy regime. What is the difference between physical and psychological dependence? An intervention is a form of counseling that attempts to get someone to accept help for an existing drug or alcohol problem. Interventions are normally conducted by the friends and family members of the affected person, with a professional intervention counselor also used in some situations. While interventions are normally used to treat psychoactive substance abuse problems, they can also be successful for the treatment of gambling addiction, eating disorders, food addiction, and other behavioral addictions. Direct and indirect intervention models are both available, including the Arise Model of intervention, the Johnson Model, and the Systematic Family Model. While some of these approaches use a direct confrontational approach, others have a softer and more invitational focus. Before entering treatment for a drug or alcohol problem, it’s important to go through a dedicated assessment and intake procedure. During this time, doctors and treatment practitioners will look at the extent of drug abuse, the substance of abuse, the history of abuse, and any external factors that may influence the treatment program. For example, the existence of co-occuring behavioral addictions and mental health disorders may impact or impede the treatment process. Lifestyle factors also need to be considered, including homelessness, dependent children, legal issues, and financial constraints. While self-assessment can play an important role in this process, each patient needs to be individually assessed by a qualified addiction treatment professional. Medical detox is the first stage of the treatment process for many people, especially those with physical drug dependencies. During medical detox, the patient is evaluated and stabilized before being guided towards extended rehab treatment. Early evaluation is critical to this process, including blood tests to check for currently circulating psychoactive substances and general medical tests to see if the patient is healthy enough for specific interventions. Once an evaluation has been made, practitioners will attempt to stabilize the patient, often with the use of medications. Depending on the individual patient and primary substance of abuse, a range of medications can be used, including benzodiazepines and opioids. While it is possible to stabilize some patients using drug discontinuation alone, “cold turkey” detox can be dangerous in some situations. Most detox programs rely on pharmacotherapeutic measures to help reduce the severity of specific withdrawal symptoms. Once the patient is stable, they will normally be directed towards either residential or outpatient rehab services. During this consultation phase of treatment, the family and friends of the addict may be brought in to provide encouragement and advice. While detox is an important piece of the treatment puzzle, it needs to be followed by psychotherapeutic support in order to promote long-term lifestyle changes. Drug rehab services are integral to long-term recovery. Rehab can be carried out in many forms, from informal support meetings and single-day treatments through to immersive six-month programs. Residential and outpatient programs are both available across Florida and the United States, including residential treatment centers (RTC), partial hospitalization (PHP), and intensive outpatient programs (IOP). Residential programs provide around-the-clock medical support and accommodation services, with outpatient programs allowing the patient to live at their usual home address. There are advantages and disadvantages associated with each approach, with comprehensive residential programs generally less flexible and more expensive than outpatient treatments. Before entering a rehab program, it’s important to weigh up your options and choose a program based on your individual needs and financial constraints. Also known as medication therapy, pharmacotherapy programs can be applied during detox, rehab, or aftercare. While the use of medications to treat drug addiction can be controversial in some situations, this form of treatment is incredibly useful in helping people to manage withdrawal symptoms and enable long-term lifestyle changes. Opiate replacement therapy is a well-known form of medication therapy that involves the administration of methadone and other opioid drugs to long-term and treatment resistant heroin addicts. Alcoholics, opioid addicts, and sedative addicts may also require medication support in some cases, especially during the early stages of treatment. While pharmacotherapy programs do very little to address the underlying causes of drug addiction, they can be powerful when combined with psychotherapy treatment sessions. Drug rehab programs are mostly based around psychotherapy, including motivational therapy, cognitive therapy, and behavioral therapy. While medications are mostly used to help manage addiction problems, psychotherapy programs attempt to change problematic behavior patterns from the inside out. If drug addicts can learn how to identify the emotional and cognitive distortions that lead to drug abuse, they can set up new associations and avoid compulsive and impulsive actions. Common psychotherapy programs include motivational interviewing, motivational enhancement therapy, cognitive-behavioral therapy, family therapy, art therapy, mindfulness, relapse prevention, 12-step facilitation, moral reconation therapy and many others. Psychotherapeutic support can also be useful during aftercare when patients are dealing with issues surrounding transition and reintegration. Relapse prevention systems attempt to reduce relapse rates by helping patients to identify problem areas and cope with the challenges of life as they arise. Also known as recidivism, relapse describes the return of problematic drug taking behavior after a period of sobriety. According to the National Institute on Drug Abuse (NIDA), up to 50 percent of all treatment admissions relapse at some stage, which is why it’s so important for recovering addicts to develop these important skills. Relapse is often approached in a series of three progressive stages: emotional relapse, mental relapse, and physical relapse. Signs of emotional relapse include anger and frustration, resentment, and unhealthy mood swings. During mental relapse, the patient is starting to think and talk about drugs, with this situation quickly progressing to an actual physical relapse event unless action is taken. By helping people to identify the warning signs and potential triggers that often arise during the recovery process, therapists are putting them on the right path to long-term sobriety. Common triggers include emotional triggers such as anger and frustration, lifestyle and social proximity triggers, and environmental triggers such as loud noises. Long-term behavioral changes require ongoing support systems. Aftercare, also known as continuing care, includes all treatments that are designed to follow detox and rehab. Common aftercare programs include 12-step support groups like Narcotics Anonymous, SMART Recovery, family therapy, conventional counseling, and psychoanalysis. Most of these programs are based around cognitive, behavioral, or motivational support systems, with some programs also providing a degree of practical support. For example, some aftercare programs provide help with things like accommodation, employment, legal aid, and criminal justice issues. Sober living environments offer an aftercare service that provides people with accommodation while they make the difficult transition back to everyday life. If you or anyone you know is living with a substance use disorder, it’s important to reach out to a professional treatment center as soon as you can.